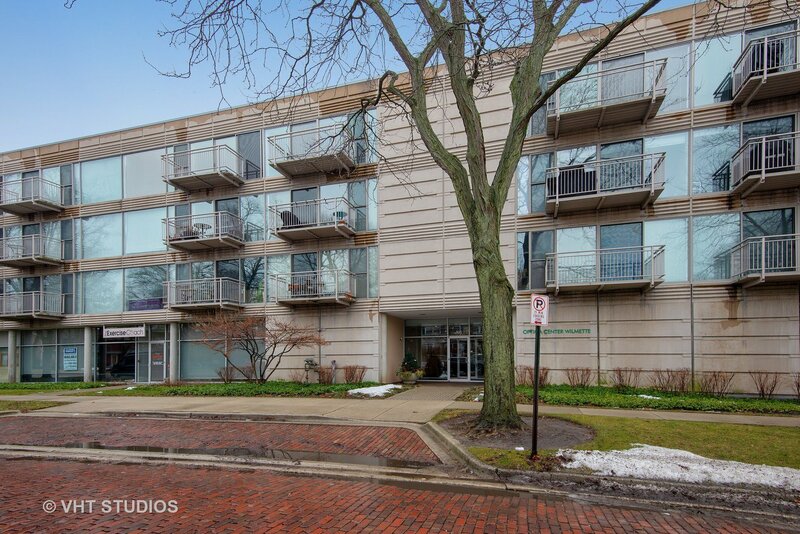 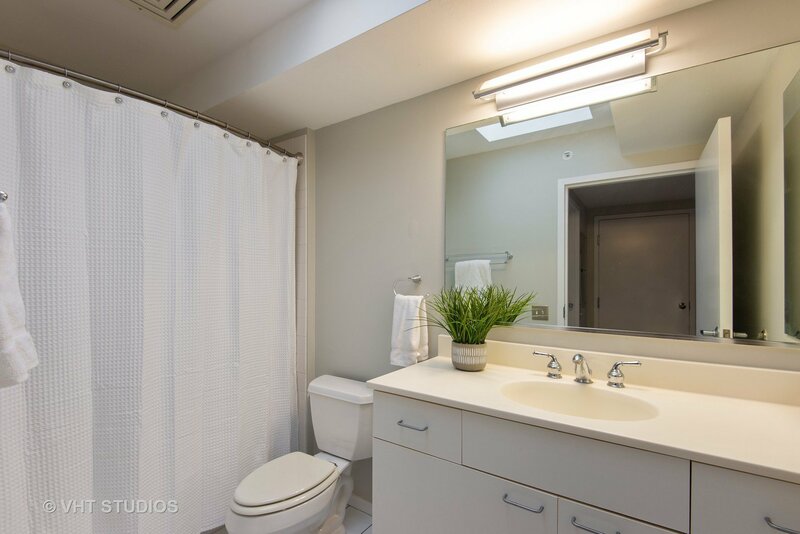 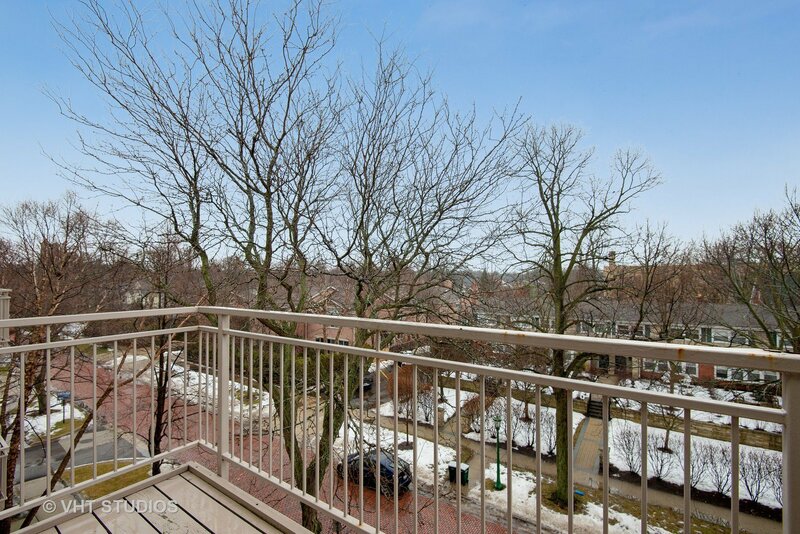 Enjoy tree top views from the 4th floor of this 1 Bedroom+den unit in the highly sought-after Optima Building in downtown Wilmette. 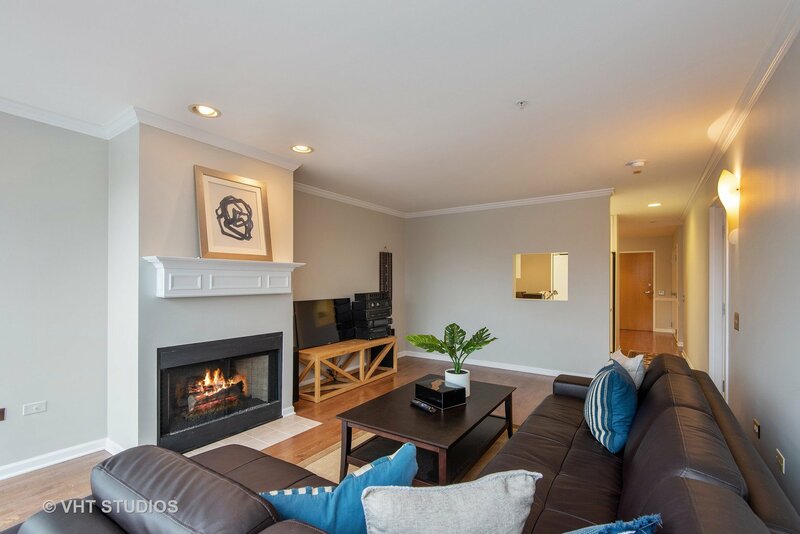 Immaculately maintained & freshly painted, the unit features sky lights, hardwood floors, fireplace, private outdoor balcony & in-unit laundry. 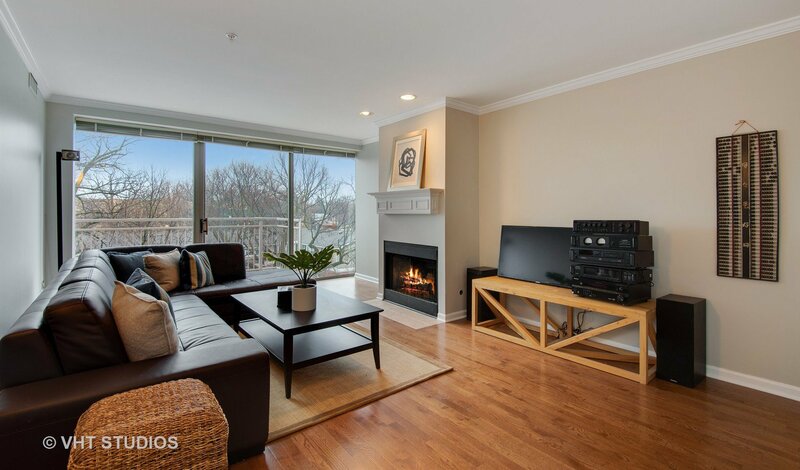 Sit in the living room & take in the sun light streaming in from the floor to ceiling windows leading to the balcony and east facing views of quiet 11th street. 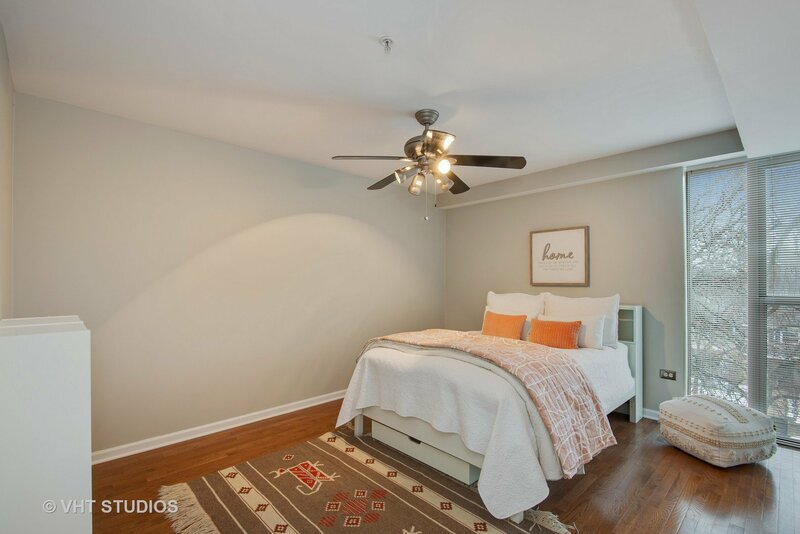 The Master Bedroom is generous in size with a walk in closet & sky light in the master bathroom. 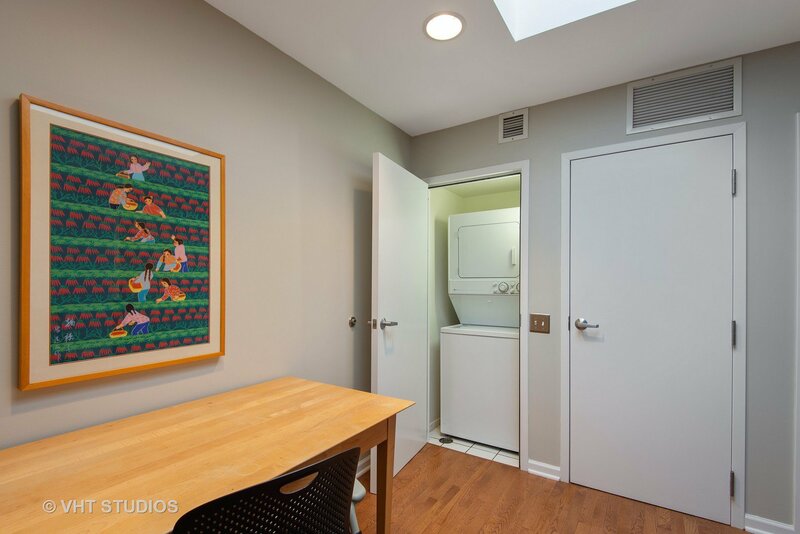 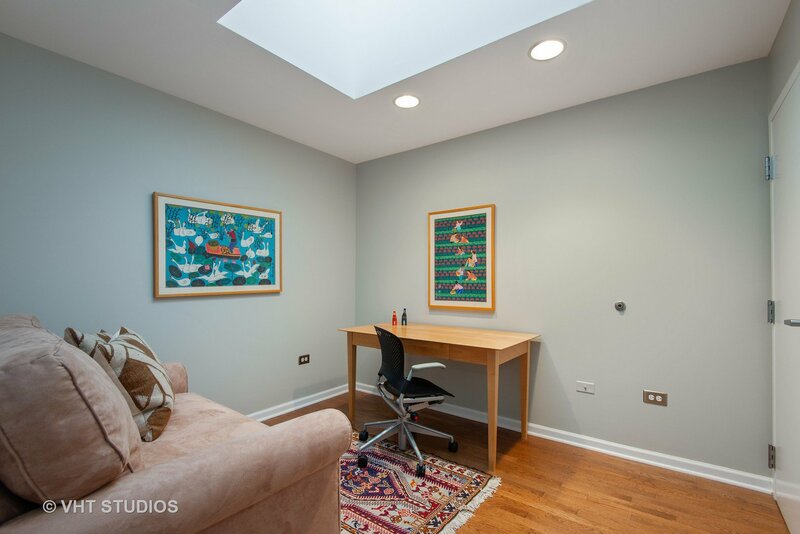 The laundry & half bath adjoin the den with the 2nd sky light, ideal for a private office & or guest area, when in need of space for company. 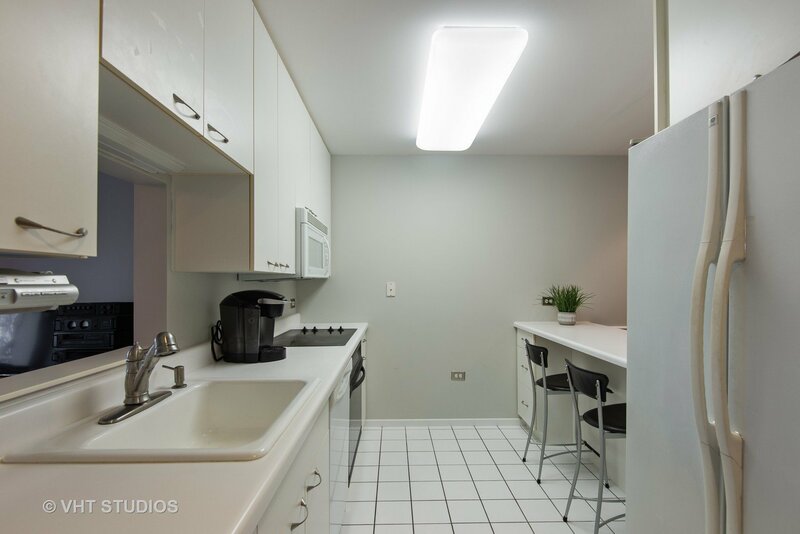 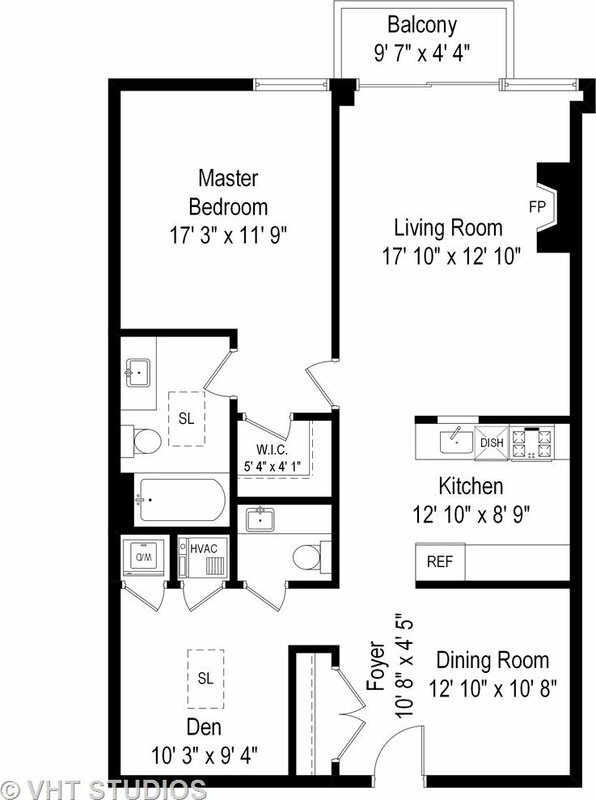 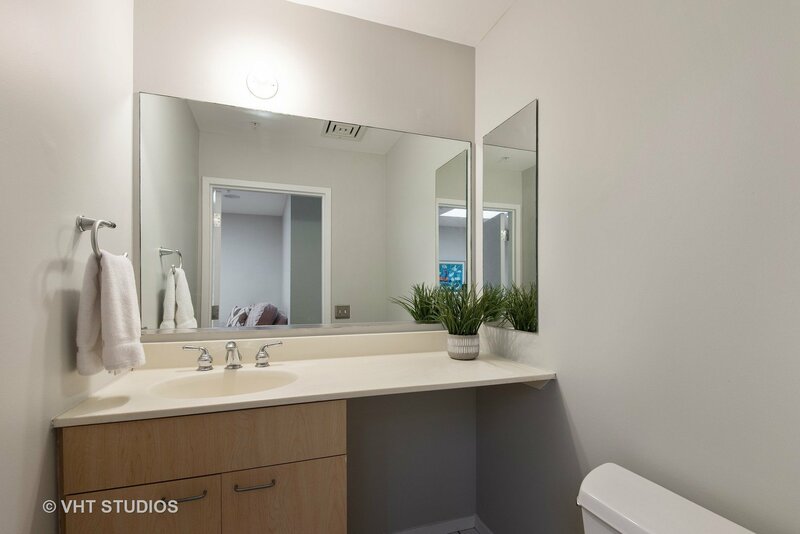 The unit comes with a garage space & storage locker. 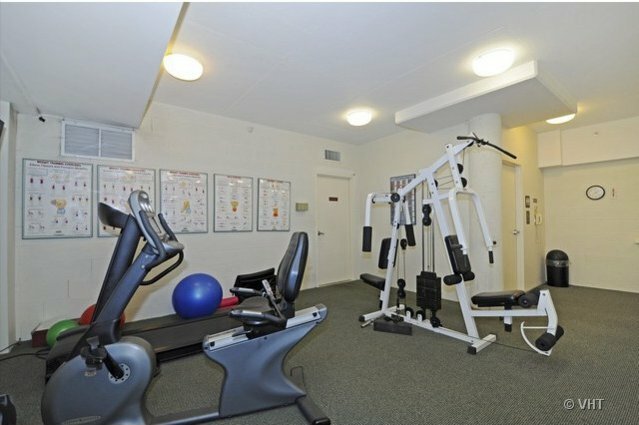 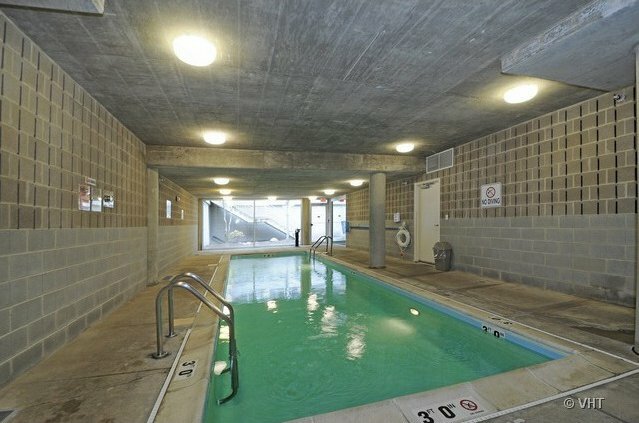 Building amenities include an indoor pool, fitness center & underground parking along with exterior parking options for guests. 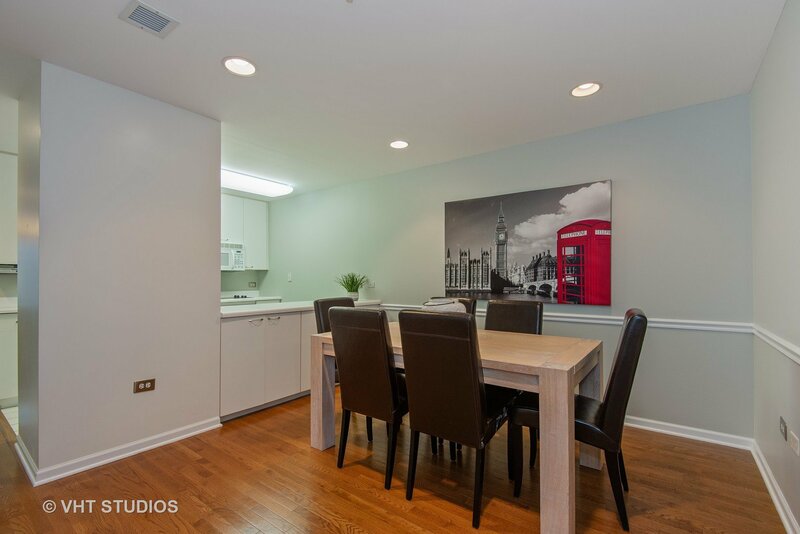 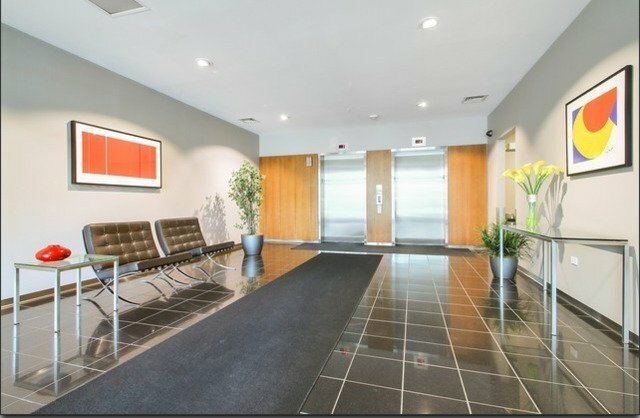 This prime location is just minutes away from your choice of restaurants, shops, the movie theater,the Metra & the beaches of Lake Michigan.